Overall Condition Poor to fair. Some of our beads have traveled at least three continents and have graced numerous owners. 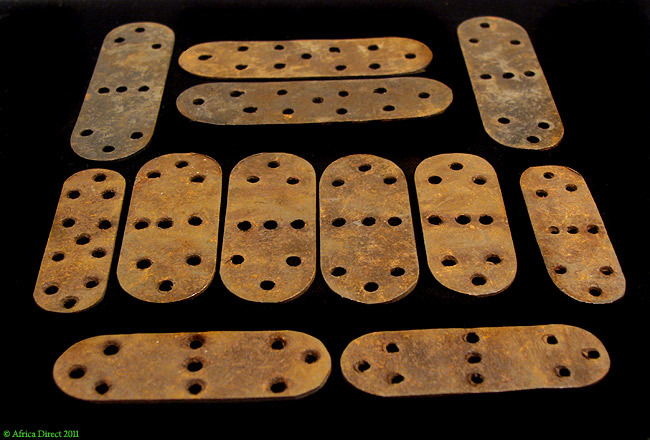 Small chips, corrosion, and pitting are a normal part of their patina attesting to their age and extensive use. Damage/Repair Oxidation, rust, and general wear. 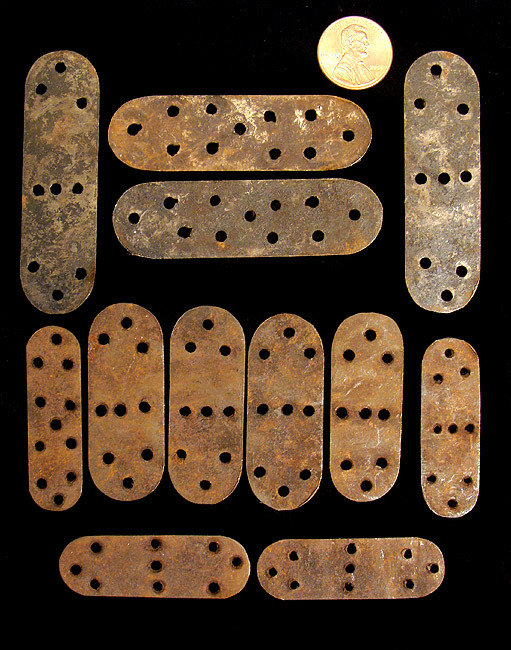 Object Size 1.75-2.75 inches long. See picture with penny for size comparison. Picture is an example. Yours will be similar. Your are purchasing 12 per order. Perched on a plateau in the Himalayas 16,000 feet above sea level, Tibet at first glance appears to be a remote country overshadowed by its much larger neighbors--India to the West and China to the East. In fact, Tibet has long been a cultural hub and is known worldwide for its astonishing jewelry. Historically, red coral from the Mediterranean, pearls and conch shells from the Indian Ocean were imported to supplement native amber, green turquoise, agates and precious metals. Using these materials, Tibetan silversmiths and metalworkers produced intricately worked jewelry for decorative and religious purposes. These artists would be commissioned by rich patrons, who would offer them lodging and food while the desired piece was being finished.